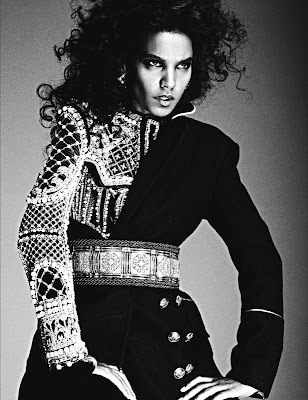 One model whose immaculate features I never tire of seeing is those belonging to the multi-talented Ethiopian supermodel Liya Kebede. Supermodel is an obvious tag to place upon Kebede's attenuated shoulders however the 34 year old is also a devoted mother, wife, entrepreneur, actress and maternal health advocate. The Addis Ababa native has appeared three times on the cover of American Vogue, walked the Victoria's Secret runway, and been the first model of colour to secure an Estee Lauder cosmetics contract. It is therefore unsurprising that Kebede is one of a few models who is able to dip in and out of modelling for select assignments. 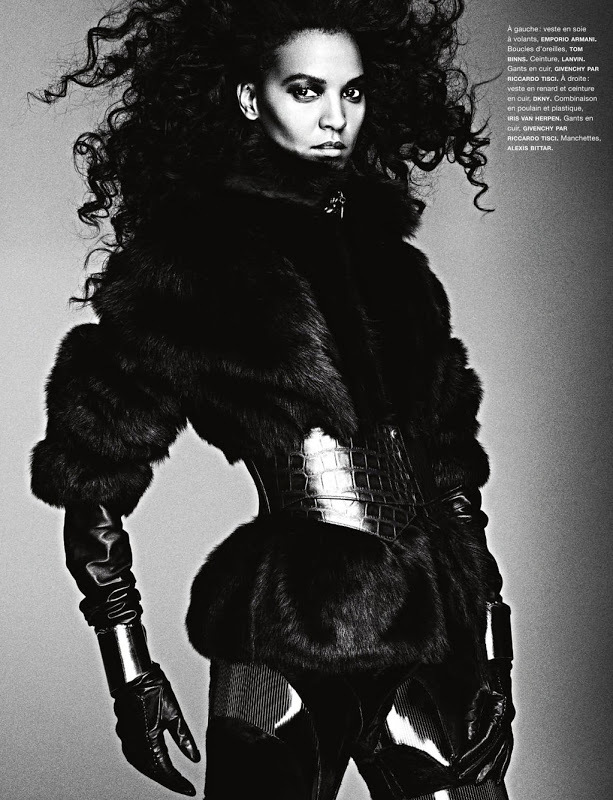 Kebede recently returned to the runway during the Spring/Summer 2013 collections appearing at Nicolas Ghesquiere's final show for Balenciaga. 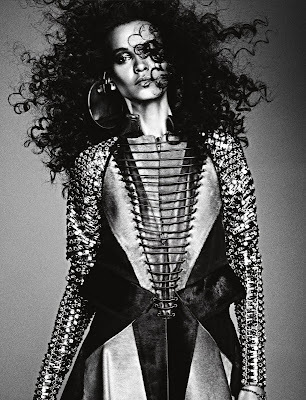 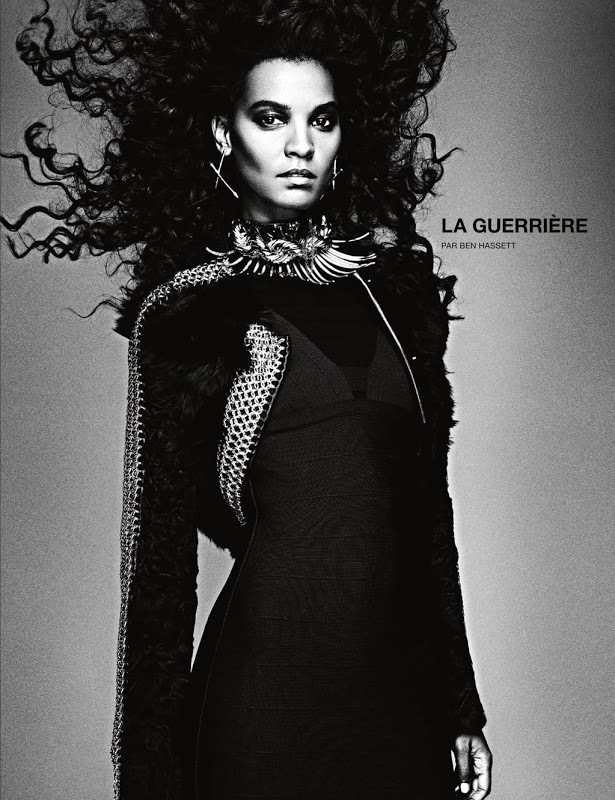 Kebede again displays her modelling prowess with an editorial in the latest issue of French Numéro. 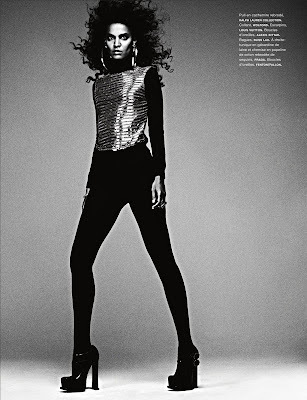 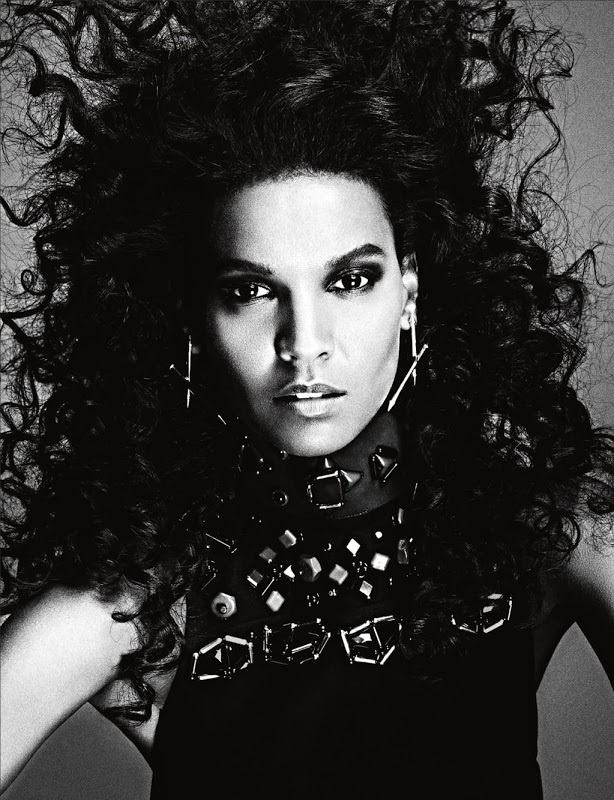 Photographer Ben Hassett captures Kebede in a series of black ensembles teamed with metallic gold accessories, looking every bit the Warrior Goddess.